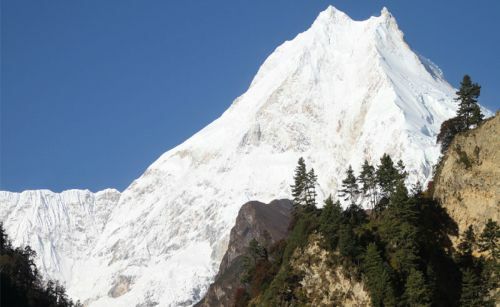 Manaslu and Tsum Valley region lies in mid-north part of Nepal. The region offers some of the best treks in Nepal. These are fairly new routes for trekking as the Manaslu region was only opened to outside trekkers in 1992 and Tsum Valley in 2008. These routes are under ‘Restricted Trekking Areas’ and Special Permits are required to trek into them. Manaslu and Tsum Valley region is fairly virgin with hidden valleys and isolated villages which has not affected by modernization. The region offers fascinating cultural practices and spectacular geographical diversity. The region is remote and isolated with diverse scenery. 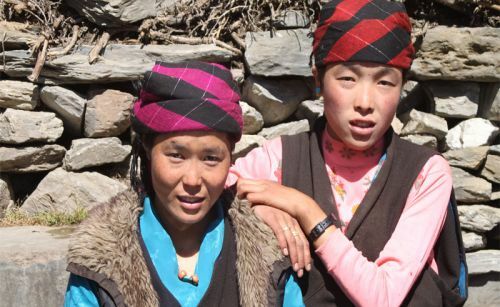 Most of the people in the highlands are the descendants of Tibetan immigrants who have settled here during 1600s. They practice Tibetan Buddhism – the trails are decorated with colorful prayer-flags, stone mani-walls, bright chortens and ancient monasteries. The eighth highest mountain in the world – Dhaulagiri (8164 m/ 26778 ft) dominates the region with its neighbors Ganesh Himal and Sringi Himal. Despite of being one of Nepal’s most astonishing regions, the routes are still fairly less exposed and relatively quieter. The region initiates from 600 meters at the foothills to a spectacular high pass at 5100 meters exposing its varied diversity, dramatic landscapes, natural beauty and mountain vistas.